Blue light contributes to digital eye strain. When you’re looking at computer screens and other digital devices that emit significant amounts of blue light, this unfocused visual “noise” reduces contrast and can contribute to digital eye strain. To avoid these strains, many companies are not enabling this features in their devices like Apple introduce this feature on their iPhone. Later this was added in as a app for Android users on play store. If you are using android phones you can download the blue light filter for your phone. When we are using computers, that function is also very important. 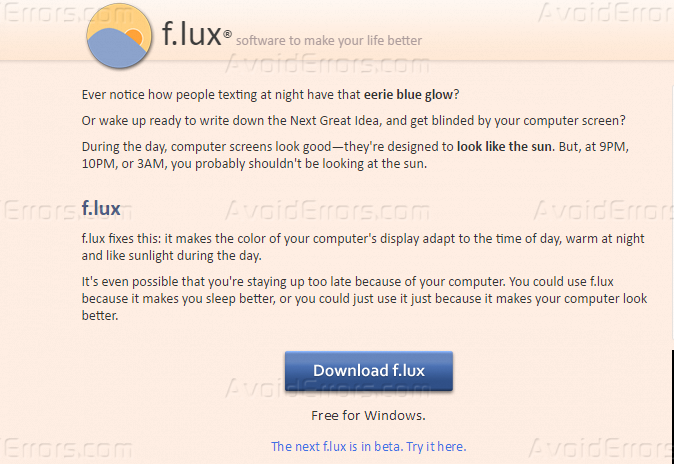 The most popular app for this is f.lux (For windows 7, 8, 8.1 & 10) which can be downloaded from https://justgetflux.com/. (Windows 10 creator already has this function). 1. Goto https://justgetflux.com/ and click on the download f.lux button. 2. Once it get downloaded, run the setup. 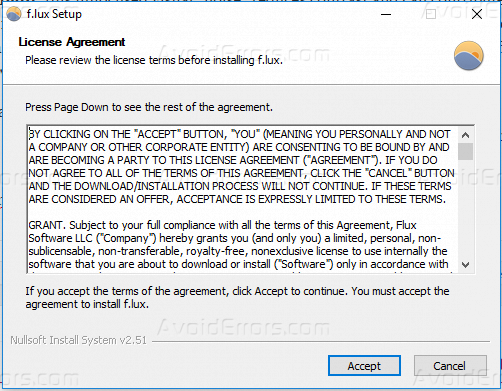 It will ask you to accept the agreement, Accept the agreement and it will start the installation. 3. Once installation will be completed, It will show the f.lux at right corner of the computer for further settings. 4. Now you can also do further adjustments as per your need, Click on Settings button and goto settings. In settings you can set how this application will filter the blue light at day time and at night. 5. Set your location, so that I can automatically start filtering blue light at night time based on your location. 6. Once you are done with settings, Click on Done. By using this function, you can keep your eyes stress free while working on computer.